The software allows creating the backup of both single as well as multiple user account data. Moreover, Gmail Backup Software permits to save Gmail account details of an individual profile or can save all the credentials i.e. user name & password in the CSV file format respectively. This tool will take backup of all data from each email account. It is designed to copy and save Google Apps data to a local machine at any desired location. Also, it provides a variety of options i.e. PST, EML, MSG or MBOX to create the backup of email data. Users are free to select any of the equipped options as per their requirement. Although, it will allow backup of Gmail contacts in VCF and calendars in ICS file format. The Gmail Backup Tool enables to pause the entire procedure and if the internet connection is lost or later, it can be resumed to continue the left process. Once users have completed all the tasks, then, they can resume the stopped process even after the application has closed and run again by providing their respective login credentials. It provides the Setting option to manage the internet bandwidth. This feature applies to emails that the users can download data from the selective folders. Users can either download data from folders or select all using Select All option or check box regarding the selective folder or files respectively. Also, Gmail to Thunderbird Converter offers to apply date filters to take backup of Gmail data according to the specific date range. The Gmail backup software maintains the incomplete account history with unwanted or accidental shutting down of the software. The result includes loss of network connectivity or system may crash. Even, a user can view the Home Page of the software to find out partial account history. Also, offers an effortless user interface so that a novice user can easily for creating the Gmail backup. This Gmail to Outlook application creates an archive emails in hard disk and also take backup of all documents in Google drive. However, all Gmail backup data are available in an original type i.e. portable file as .ppt, Word file as .pdf, etc in users system. Once the backup is created then, the tool will display the backup status report with necessary details. Explain the functioning of Gmail Backup Tool? 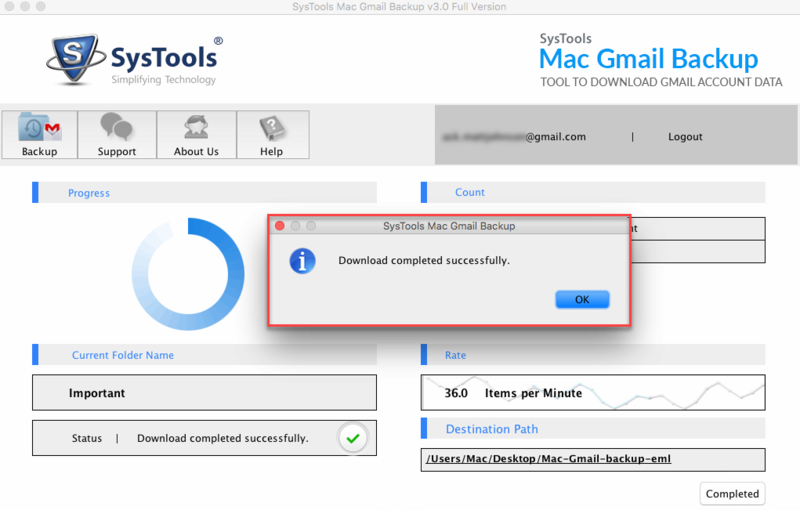 Step 1: Install & run Google Mail Backup Tool. 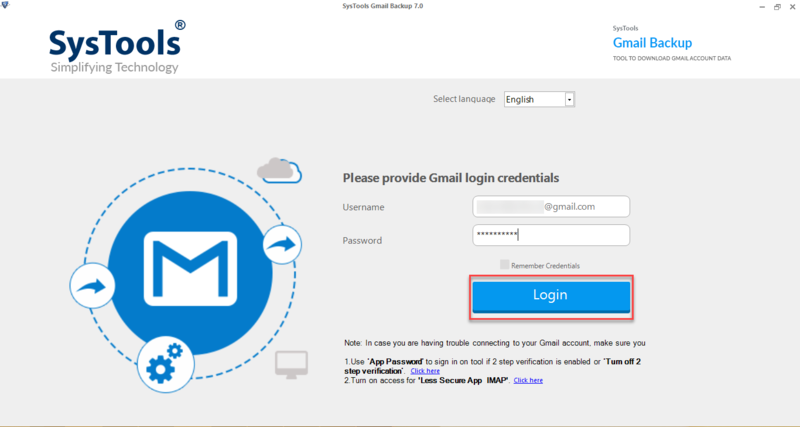 Step 2: Login with Gmail credentials and allow the access to your account. 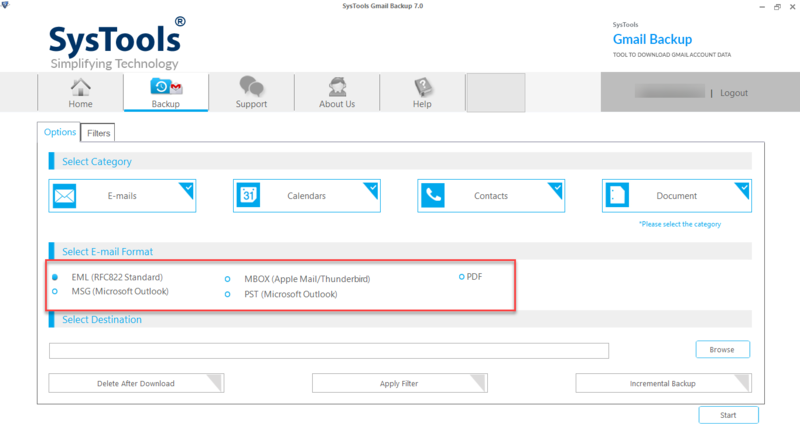 Step 3: Choose PST/EML/MSG/MBOX file format and apply date or email based filters. Step 4: After that, select the destination location to save the output file. Step 5: The process will start and the software will show the report of the backup process. Step 6: After completion of the process, navigate to the location where you have saved the output file to get the backup. Is there any limitation on the number of Gmail accounts for creating the backup with this Gmail to Thunderbird Migration Software? How long the software takes to export Gmail emails to Apple Mail? The total time consumed by the software to migrate Gmail emails to Mac mail totally depends on the internet speed and total amount of data backed up. Does this software offers Pause and Resume option while taking backup of Gmail profile? Yes, Of course, Gmail backup tool has provided Pause & Resume option for downloading the data from the backup. Does Gmail Mail backup Tool save the email account credentials in your database? No, Gmail to Thunderbird Migration Tool does not save the Gmail credentials in any of the databases without taking a permission from us. Can I export Gmail to Outlook PST file format using this software? Yes, with the help of this tool, you can backup Gmail data in file formats like Outlook 2016 PST, EML, MBOX or MSG. "It was a difficult task for me to backup emails from Gmail account to Outlook. I tried to sync the account but I was unable to get complete data in MS Outlook. Then, one of my friends suggested this tool. I got positive results as I backed up my large Gmail mailbox in a plenty of time. " "With the help of Gmail Backup Tool, it is easy to download all the emails from Google mail. 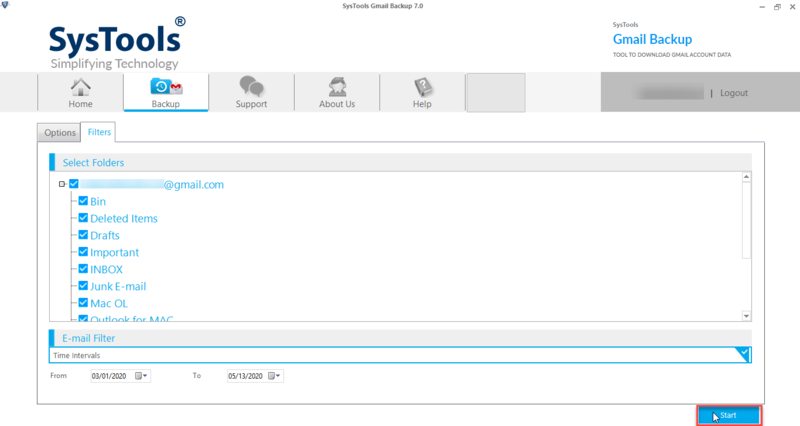 It is very to sync the Gmail account with this tool as it provides a smooth access to the account. There are specific filters to save only the desired emails as per need. Thanks, FreeViewer for such a feature-rich tool." 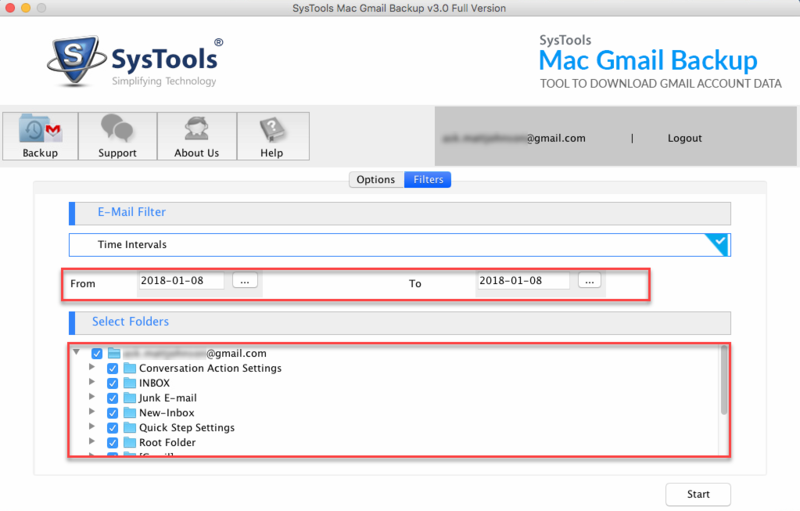 Gmail Backup for Mac provides a backup option to download all the emails from Google Mail account on Mac machine and save as PST (MS Outlook), MBOX (Thunderbird) MSG, EML and EMLX file format. It is possible to convert single emails in PST, EML, MSG, MBOX & EMLX file format. 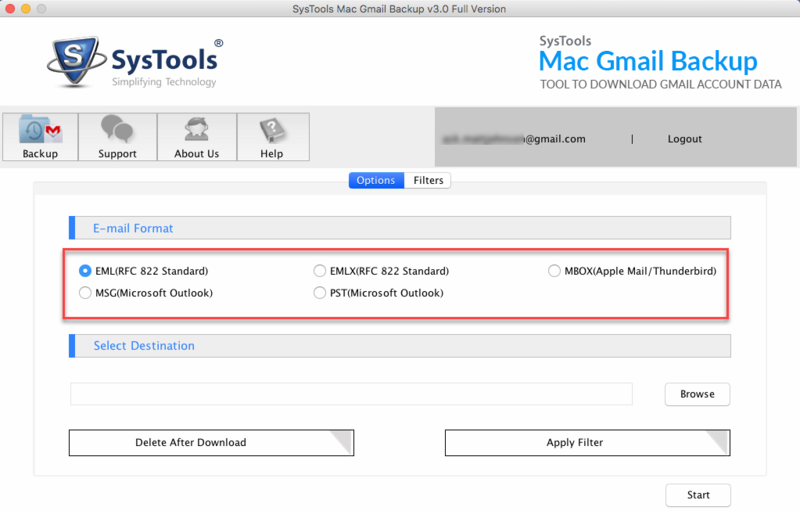 After exporting Gmail data into MBOX or PST format, it can be import into Thunderbird (for MAC & Windows) & Outlook (for MAC & Windows) of any versions easily. Gmail Downloader allows a user to backup multiple Gmail accounts at the same time. It is important to have credentials of multiple Gmail accounts to Login and backup all the emails to EML file format. Mac Gmail Backup Tool provides Email and Date Based filters that allows a user to backup only selective emails from Google Mail account. This is the best option for downloading selected data items. The software provides a safe option i.e. Pause & Resumne option. It is quite helpful when there is an issue in internet connectivity. Due to unwanted system shutdown or if internet connection lost in between the downloading, one can pause the process anytime and resume it when required. It allows a user to download all the folders in chunks. After downloading the mail folders or items user can delete emails from Gmail account. The software provides an advance 'Delete After Download' feature, with this option a user can remove emails from Gmail account after they are successfully take the backup. This option prevents mail account from exceeding allowed to storage limit & save the server space. Explain the working of Gmail Backup Tool? 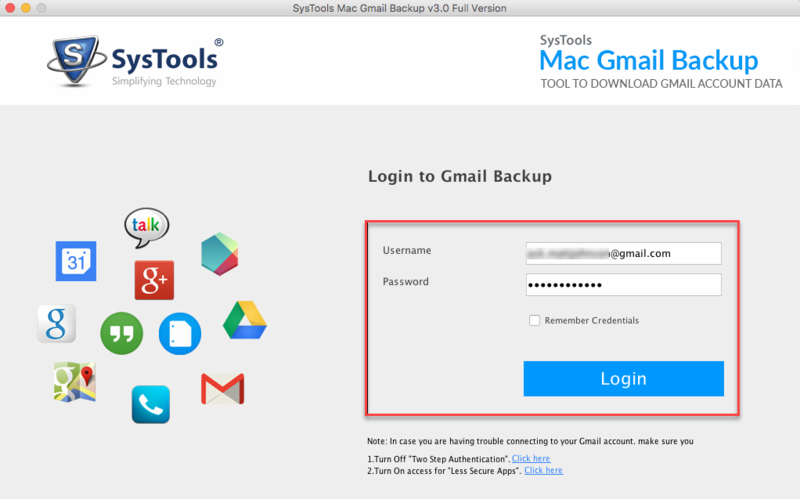 Step 1: Install & run Gmail Backup for Mac software. Step 2: Login with credentials and sync your account with the application. Step 3: Choose the EML file format to backup the emails. Step 4: Apply filters and select data items to download. Step 5: After selecting the destination location, click on Start button to proceed. Step 6: At last, the software shows the complete Export report and get the output EML file. What would be the best method to access emails of Gmail account in offline mode? You can use this tool to download all the emails from Gmail account in EML file format. 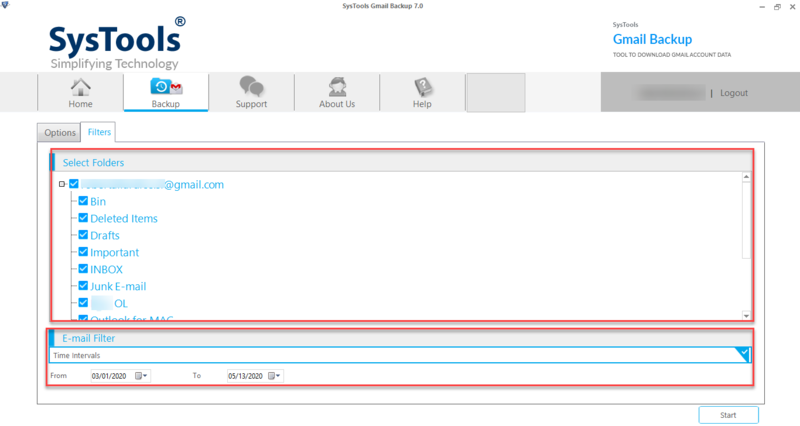 In this way, you can access your emails in an offline mode as well as save all emails locally. 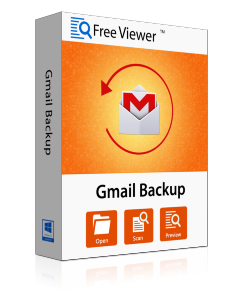 Can I save selected emails with the help of FreeViewer Gmail Backup Tool? Yes, you can apply Email & Date-based filters to select all the data items which you want to download from Google Mail account. Can I delete my emails after downloading from my Gmail account. Yes, Gmail Backup for Mac provides Delete after Download option to delete all the emails from the server after creating the backup. "Thank you, FreeViewer team, for this tool. You have done an amazing job by developing Gmail Backup for Mac machine. It was hard to find such tool that is feature-rich and works on Mac system as well. I got chance to download the free version of the application to test the product before purchasing the full versions. It is worth my investment." "It was a difficult task to save all the Google mails on Mac machine as there is a limited number of utilities that are available online. Then, one of my friends suggested me this tool. Mac Gmail Backup software works smoothly and has user-friendly GUI for the safe backup process. The developer team has done great job, thank you."